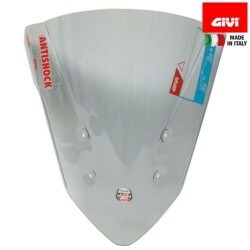 Wind Shields There are 13 products. 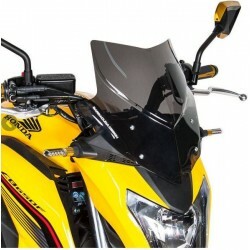 Semi-transparent smoked plexiglass windshield, aerosport range for CB650F from 2017. Quick mounting on existing attachment points. 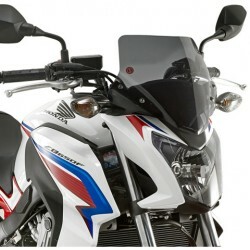 Semi-transparent smoked plexiglass windshield, aerosport range for CB650F before 2017. Quick mounting on existing attachment points. 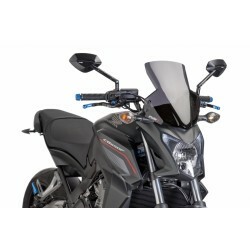 Honda Windshield / windscreen, genuine accessory for your 2017/2018 CB650F. 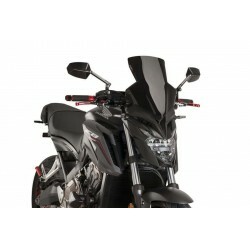 Provides a sportier look and adjusts the airflow for the driver's comfort. 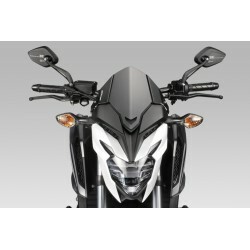 Honda tinted windshield to improve the comfort of your CB650F (versions before 2017). 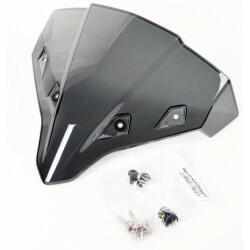 "Warrior" windshield for CB650F by DPM. 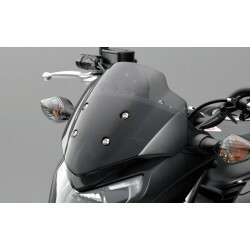 Specialist in aluminum design parts, DPM offers a totally aluminum and opaque windshield : guaranteed effect ! 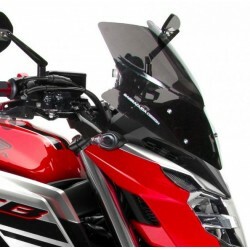 Installation with the kit provided without modification on the bike.